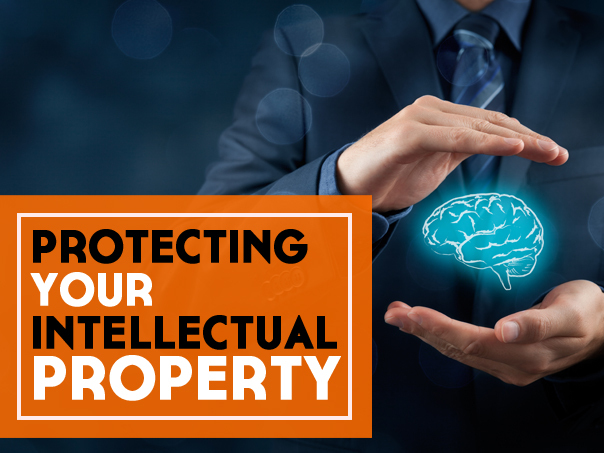 Home 8 Ways To Safeguard Your Intellectual Property! Your intellectual property is your bread and butter. And let us warn you that there is a surprisingly large spike in IP theft these days. Hence, you should think twice about starting your business from the ground up. It is crucial that you fortify its security and acquire the rights to it so that no one else can use it. IPs like Facebook and Twitter haven’t had that much of a successful start as the patentable ones. Now startups are rethinking their strategy about how they can protect their IP. To do that, make the following points part of your mission. This way, no one else can use your logos, products, designs, and services. The first thing you should do is to contact an attorney for intellectual property to get your idea registered. Ensure that every last bit of detail about your products and services are written down. It is to help distinguish it from other similar ideas. It is also a measure to see where your product may end up in the future and if there are any foreign laws and regulations that you need to consider. There is no one kind of IP. Therefore, you should carefully take the time to look into the different categories that are available for you as well as the advantages that each of them presents. For example, patents protect the inventions and design registration protects their appearance. Registered trademarks protect logos, brand names, scents, original sounds, as well as the aspects of packaging. By accounting for all of this, you will have created a solid policy for all of your intellectual property. To put it bluntly, you must educate yourself as well as your team about the basics of copyrights, trademarks, patents as well as trade secrets. Be sure to invest a day or two’s time into your research so you can save yourself a lot of trouble and headaches. Until you have your protection rights, you are going to have to be real hush-hush about your business. If you are going to tell others about your ideas, ensure to use a confidentiality agreement so you can prevent them from disclosing your idea without your consent. You can find anything online these days. To be more specific, we’re talking about doing your own IP search online through Google at google.com/patents.Doing this can push down your costs pretty well.You can also research your potential market and understand the likely buyers, consumers, investors, and distributors. It will allow you to work out your unit cost and give you an insight about whether your product or service is competitive or not. Keep in touch with all the protection and development costs so that you can put a value on the IP. It will give you some idea of how profitable your venture needs to be for you to recover costs. Should anyone try to sneak your intellectual property ideas away from you, you can use this tactic to your advantage. That is why it is imperative that you record each and every detail of your products and services such as descriptions, drawings, general records and plans. Patents should not be the only thing that you have to bank on. You must also conduct an audit so that all of your registered and unregistered trademarks and copyrights are identified. Why bother taking chances right? In any case, this will further strengthen the security of your IP. Catherine Daisy works as a Legal Advisor for UAE Assignment Writing. She is also a blogger and social media personality and lends his knowledge and insights into various aspects of running a business.She also offers assignment writing online services to students.